When most people start looking into Bitcoin as an alternative currency, one of the first questions they ask is – where can you spend bitcoins? Well the simple answer is that you can use Bitcoin for anywhere, for all of your shopping – including picking up groceries from your local mini-market. Shops do not need to accept Bitcoin directly (as an increasing number do) for you to be able to use your coins with them, as long as you have taken a few moment in advance to be prepared. In this article you will find four different ways to spend your coins pretty much anywhere. Each method has its own advantages and disadvantages which I will try to make clear, but you should also do your own research to choose the method which suits you the best. Fund a debit card from your Bitcoin wallet balance instead of your bank account! Advantages: This is the easiest and most flexible method for spending your coins in physical stores around the world. You can use them in any store which accepts regular credit or debit cards. Disadvantages: There are fees to pay, and some services require you to convert your coins to fiat in advance of making a payment. ANXBTC – With relatively low fees, a range of global currencies and the ability to use your card at over 25 million ATMs worldwide as well as most retail stores, this card is well worth taking a look at. BIT-X – With most of these debit cards you need to spend your Bitcoin in advance, to purchase a pre-paid balance in fiat. So they are really very similar to ordinary pre-paid debit cards, except that you can buy them using Bitoin. BIT-X is different – it will convert exactly the right amount of Bitcoin into fiat for each purchase, allowing you to keep your money in BTC until the moment when you spend it in any store or exchange it to withdraw fiat at any ATM. Purchase electronic or physical gift cards using BTC, then spend them or give them as gifts! Advantages: You can Bitcoin cashback on your shopping through this method, and you may also be able to get discounts. Obviously they make good gifts too. Disadvantages: You can usually only spend gift cards in a specific store, and you need to purchase them in advance – committing yourself to spending a certain amount of money with that retailer. Gyft: Use your coins to purchase electronic gift cards for more than 200 major American retailers, and get 3% cash back in Bitcoin on every purchase you make with them. Gift Off: For shoppers in the United Kingdom (UK) Gift Off offers the ability to purchase gift cards from nearly 200 retailers using a wide range of digital currencies including Bitcoin. 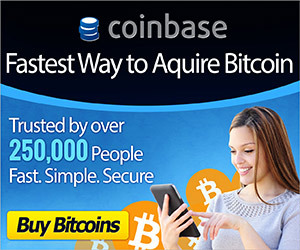 Use Bitcoin for your online shopping – even at sites which don’t accept it! Advantages: You can get some really great discounts from some of the world’s top internet retailers using this method. Disadvantages: Only works for making purchases at a limited range of internet retailers, and it can take a lot longer to complete a purchase than it normally would. Purse: Buy anything from Amazon.com and get a discount of 5-20%. It works by matching people who have gift cards that they do not want with people who want to use Bitcoin to buy something from Amazon. Buyers get a nice discount on their shopping, whilst sellers get to offload their unspent gift cards in return for BTC. BitCart – Discounts of up to 20% at Amazon and other online retailers. This is less well-known and seems a little less transparent compared with Purse, but works with a much bigger range of stores. Excellent! Good to get some feedback on these from a customer. how can i get Bitcart or Purse? You can always spend bitcoin for your private pleasure. Buy naked photos on Bitnudes.com. Your wife will never know as the process is completely anonymous. When you are ready to travel and your credit card is broken… and you have some Bitcoin or cash (which you can exchange for Bitcoin) come visit https://Future.Travel to book your cheap airline tickets and to buy discounted business class airfares. Good article! I liked that it includes both advantages and disadvantages of using bitcoin and recommendations are my fav part. I’m gathering a list of ways to spend bitcoin as well here: http://www.topchart.io/lists/ways-to-spend-bitcoin, let me know what you think.